The Labor Day comes this year under exceptional circumstances for the Palestinians as Palestinian prisoners, in the occupation prisons, are entering their Dignity Hunger Strike and fighting with their empty stomachs in the face of the abuse they are exposed to in the Israeli occupation prisons, and among those are workers who were incarcerated by the occupation. 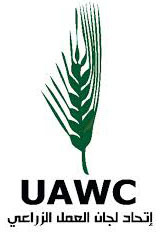 The workers of Palestine suffer from compound injustice as a result of the absence of laws and trade union organization that protects them and strengthens their steadfastness without regard to the fact that they are the building blocks of the economy and the provision of life necessities to millions of Palestinians. The most prominent may be the workers in the 1948 territories who are subjected to fraud and embezzlement by their Israeli employers in addition to preventing them from access to their work places by the occupation forces that chase, shoot and arrest them in a daily context which makes the bread that they seek to be immersed in blood and unknown fate. The total number of Palestinian workers is 1,341,000, of which 844,600 are in the West Bank and 496,400 are in the Gaza Strip. 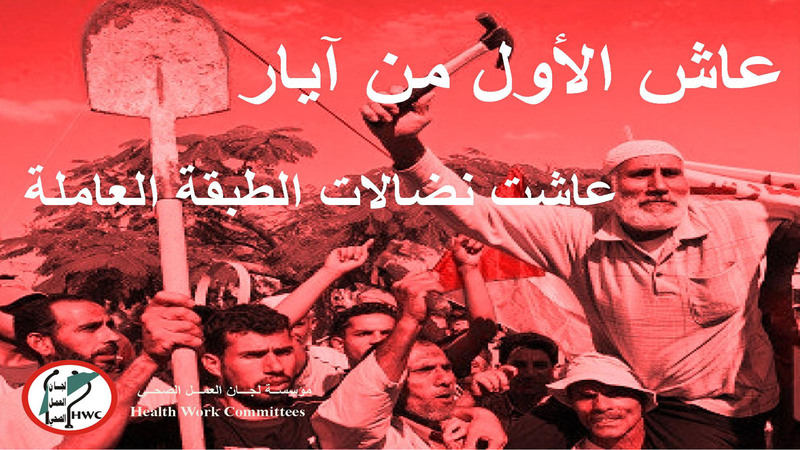 According to the Labor Force Survey in Palestine carried out by the Palestinian Central Bureau of Statistics, around 117,000 workers are working in the 1948 territories; the survey shows that the number of unemployed based the definition of the International Labor Organization is 360,500 people; 206.800 in the Gaza Strip and 153,700 people in the West Bank. In terms of child labor, 3.9% of children aged 10-17 are employed; 5.3% in the West Bank and 1.9% in the Gaza Strip. The Palestinian Central Bureau of Statistics estimates that the number of wage earners in Palestine reaches 680,000 workers and women's participation rate reaches only 19.3%. In light of these figures, it is necessary to stand at all forms of injustice and the harsh life of Palestinian workers that is getting worse by the day, especially in the Gaza Strip where people are living under siege and lack of resources. This situation got complicated with the recent Palestinian government's tendency to cut the salaries of employees there which will result in ceasing employment in all sectors. In the West Bank, the Israeli policy of chasing workers and tightening military barriers increases the suffering of workers and their families, which affects their health, food security, and education. At the national level, the minimum wage in itself is unjust for workers , in addition to the lack of supervision over the work sites in terms of meeting the work conditions, which led to the lost of lives of many of the workers while carrying out their work. The absence of effective and active trade union organization makes the workers exposed to embezzlement, not to mention the social security law that has been controversial for a long time, especially since its relationship with the labor sector is still hazy. * The need to amend the Palestinian labor law and its annexes in a modern spirit to provide a decent life for workers and their families. * Eliminate the injustice to which Palestinian women workers are exposed to and enforce the laws that determine their work hours and nature. * Exposing the practices of the occupation and its exploitation of Palestinian workers by highlighting their reality through joint efforts between all relevant bodies and media. * Reactivate the trade unions representative bodies by spreading democratic life within these bodies to be strong and able to defend the rights of this segment. * Strengthen the control on the various establishments in relation to their compliance with occupational health and safety conditions and to prosecute violators to protect the lives of workers. * The Ministry of Health has to retract its new law with regard to denying health insurance for the unemployed, because of the great injustice that threatens their lives and health needs.